Chaboya is enrolled in this years Scripps National Spelling Bee and its that time to start studying to compete. Below are the dates and links to prepare for this years Spelling Bee. Optional. Must Sign-Up to participate (more info below). Will not impact a students school grade. Will be a face-to-face Spelling Bee. Will lead to the Chaboya Oral Spelling Bee. 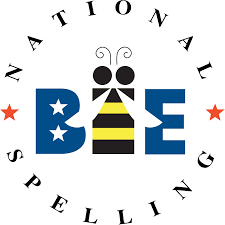 The winner of the Chaboya Oral Spelling Bee is eligible to participate in the next steps towards the 2019 Scripps National Spelling Bee. Interested students MUST Sign-Up online tp participate in 2018-19 Chaboya Written Spelling Bee. Upon registration, students will be e-mailed the word study guide. The Scripps National Spelling Bee study site www.myspellit.com. Please note that you need the latest version of the FREE Adobe Reader software to open the PDFs available on this page.